TrepCamp was founded in 2013 as part of the Mexico-U.S. Entrepreneurship and Innovation Council (MUSEIC), with the main focus of preparing aspiring entrepreneurs to acquire the right competencies as they embark on their entrepreneurial journey. The program uses a unique methodology based in the Entrepreneurial Competencies Model™, which is the methodological heart of TrepCamp. In 2014 a pilot test was launched in which 85 people from different universities in Mexico were selected to spend 3 weeks at UC Berkeley to develop their entrepreneurial skills. 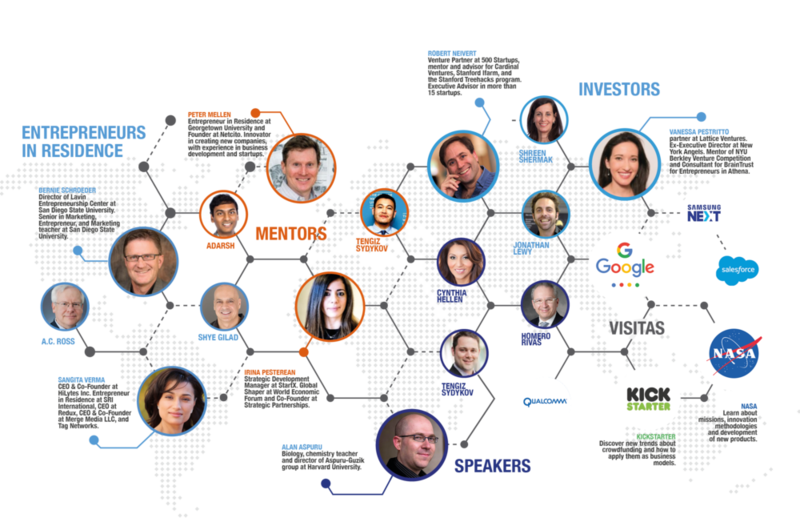 The pilot program was so successful that in 2015 it was scaled to 250 people in 5 different universities in the US: UC Berkeley, San Jose University, San Diego State University, NYU, and Washington University. Additionally, an online program was developed where 10,000 aspiring entrepreneurs participated and during summer 2016 and the best 500 participants traveled to the US to a life-changing experience in the Advanced Program, but this time in 7 different universities: Seattle University, UC Berkeley, San Diego State University, San Leandro University, NYU, Georgetown University, Boston University. Since 2013 TrepCamp has trained more than 13,500 college students and more than 800 students in the advanced program in the main innovation ecosystems in the US, with the clear objective to help talented people to develop their potential as high-impact entrepreneurs. We are a community of extraordinary people sharing a common vision: empower aspiring entrepreneurs to acquire the mindsets, skills, and experiences needed to become high impact entrepreneurs in order to have a chance to change the world. Fernando Sepulveda has over 15 years of experience Entrepreneurship and Innovation and he is Founder & CEO at TrepCamp. Furthermore, he is Co-Founder at Impulsa Business Accelerator since 2003. Fernando, a is also a Harvard graduate, was a Principal Associate at McKinsey & Company serving clients in North America, Latin America, Asia and Europe, mainly in the industrial, consumer goods, energy and financial services sectors. He was also a Board Member of the National Business Incubator Association (NBIA). Fernando is Co-Chair of the Diaspora Committee within the Mexico-US Entrepreneurship and Innovation Council (MUSEIC). Additionally, he is a member of the Clinton Global Initiative of AMEXCAP and of the Executive Board of Work2Future in Silicon Valley, California. He is president of North of California chapter of the AEM (Mexican Entrepreneurs Association). Nayeli Gongora has over 5 years of experience in entrepreneurship and innovation. She joined TrepCamp in August 2009 as National Business Manager. Nayeli is a professor of Philosophy, Business Development, Entrepreneurial Culture, and Leadership. since 2006. She is also Psychotherapist specialized in teenagers, adults, and couples with a psychoanalytical approach. Nayeli has developed institutional articles in psychoanalysis, women's empowerment, and gender balance and has worked in business consulting projects focused on Human Resources and leadership. She received a BA in Psychology from Universidad Autónoma Metropolitana, she has a Strategic Management of Human Resources Mastery from ITESM Campus CDMX and a Women's Studies Mastery. Furthermore, she started her training as Psychoanalyst at Circulo Psicoanalítico Mexicano in Mexico City. Se also won a university award for her research “Violencia Laboral Hacia las Mujeres”. Alejandra Castaño has over 10 years of Entrepreneurship and Innovation experience. She joined TrepCamp in July 2016 as Institutional Relationships Manager. From 2006 to 2012 she worked at Programa Nacional Emprendedor, of the Secretary of Economy (Mexico). Alejandra was in charge of different support areas at the Subsecretary for micro, small and medium companies. She took part of the Admissions Committee and was an evaluator of the National Entrepreneurs Prize in Mexico. Alejandra received a BA in Law from Universidad Tecnologica de México. Eduardo has over 4 years of experience in entrepreneurship and innovation. He joined TrepCamp in August 2015 as the International Business Manager and he was the Coordinator of TrepCamp @ NYU and Boston University in 2016, and the Global Coordinator of the Advanced Program 2017. Furthermore, Eduardo has over 3 years of financial experience working for Daimler-Mercedes Benz, ValCap, and Pretmex. In 2015 he received a BA in Industrial Engineering from Universidad Panamericana in México City. Itzel has over 2 years of experience in entrepreneurship and innovation. She joined TrepCamp in August 2015 as the Innovation Team Manager. Prior to that Itzel worked as a Commercial Relations Analyst at the United States Consul of Guadalajara and as a Commercial Relations Executive at the Mexican Embassy in Panamá. Itzel has a BA in International Relations, a Foreign Trade and a Customs Law certificate and she is Certified Practitioner of resonance repatterning. She also collaborated in the presentation of the Free Trade Agreement México-Panamá. She is fluent in English, Japanese and Spanish. Alvaro has over 2 years of experience in entrepreneurship and innovation. He joined TrepCamp in 2016 as Project Executive. Previously, he worked in the Continuous Improvement area for different electronic companies. He has over 2 years of Continuous Improvement Management experience. Alvaro received a BA in Industrial Engineering from Universidad Politécnica de Valencia (Spain), Technische Universität de Graz (Austria) and Universidad de Guadalajara (México). He also has the Black Belt certificate from Six Sigma. He is fluent in English, German and Spanish. Nancy has over 2 years of experience in entrepreneurship and innovation. She joined TrepCamp in August 2016 as external Designer and in May 2017 she became TrepCamp's Community Manager. Previously, Nancy worked as Designer at Nutrisa, SIGSA and SUPLEMENTOS CORPORATIVOS. She worked as a freelance at AEM, The Society Diaries Magazine, and METCO, LA DIVINA. She has experience in Marketing, Advertising, and Editorial Design, working for companies like REFORMA and MILENIO. Nancy received a BA in Design and Visual Communication from Facultad de Artes y Diseño en la UNAM and a certificate in Editorial Design from Academia de San Carlos. She won the Santander Scholarship for TrepCamp Advanced Program at New York University in 2016. She is fluent in English, French, and Spanish. Francisco has over 4 years of experience in entrepreneurship and innovation. He joined TrepCamp in September 2017 as Project Executive. In 2013 Francisco founded Rivalio, a sports games development start-up, becoming one of the Top 5 Fantasy Soccer Games in Spain. In 2017 he founded “El Socorrito”, a design & development studio based in Barcelona. Previously he worked at GAES, one of the leading international auditory correction companies. 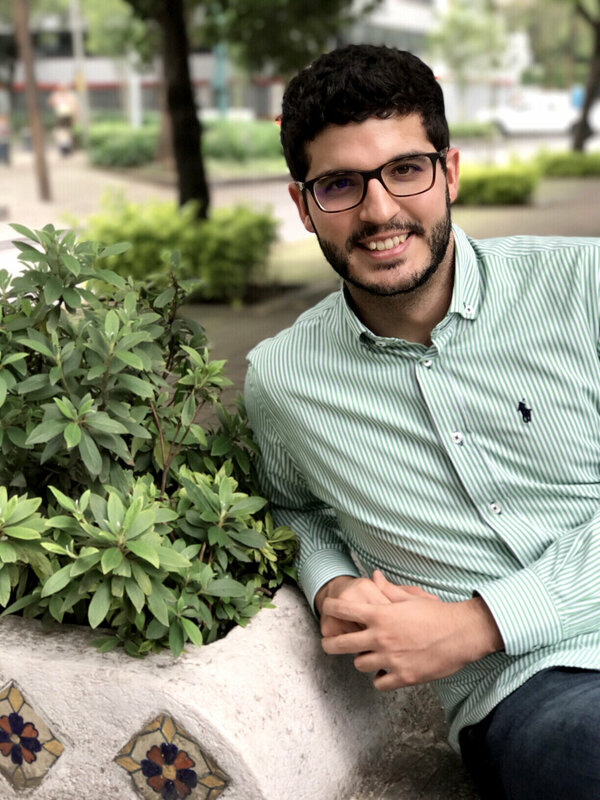 Francisco received a BA in Business Administration from IQS School of Management – Ramón Llull University in Barcelona and from Università di Bologna in Forlí (exchange program). He is a Google Ambassador, representative as a young entrepreneur of Google products for businesses. Manuel has over 3 years of experience in entrepreneurship and innovation. He joined TrepCamp in 2016 as Project Analyst. On 2013 and 2014 he developed the Procurement Office for the Enterprise he collaborated with, dedicated to manufacturing electrical materials and equipment. On 2014 and 2015 he had an immersion on the social business ecosystem of Guadalajara, by being in charge of a Youth Empowerment Program in Alliance with the government of Guadalajara and Grupo RE. In those same years, he performed as a trainer and facilitator of Human Development and Empowerment through experiential learning. On 2016 he collaborated on the product development for SazónMX chimi sauce. 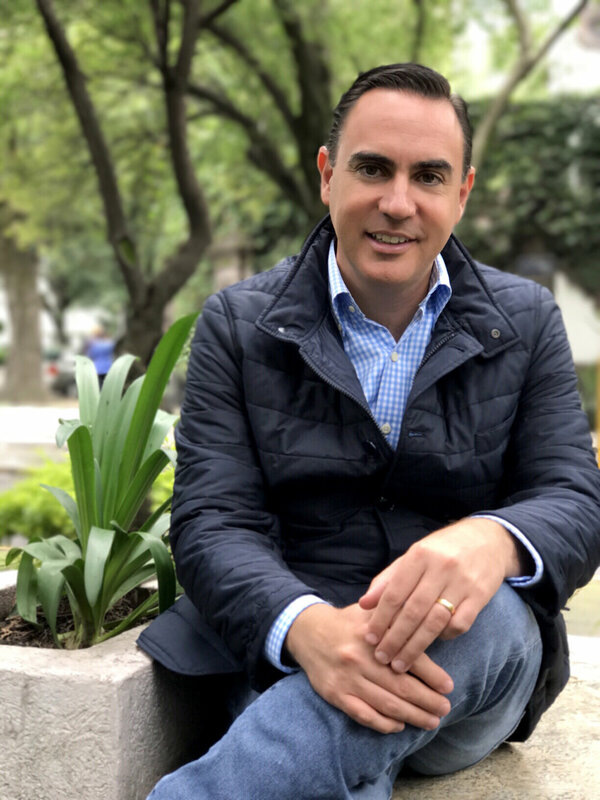 Manuel Guzman has a Bachelor’s degree in International Business from Monterrey Institute of Technology and Higher Education. On 2012, he participated in an international school Exchange; specifically in NEOMA Business School (Rouen, FR) focusing on finance studies. Analuz Zúñiga has over 2 years of experience in entrepreneurship and innovation. She joined TrepCamp in August 2017 as Project Analyst. Previously she was PR Coordinator at Coparmex Mérida, Coordinator at Encuentro Nacional CONEICC and Radio Announcer at FM Cancún. Analuz is PR Lecturer and she received a BA in Communication from Universidad Anáhuac Mayab in 2017. Se also has a Storytelling, PR and Digital Marketing certificate and she has a TrepCamp @ UC Berkeley 2017 degree. She achieved the best mark of her BA in 2014, 2015, 2016 and 2017. She won the INAIP Yucatán 2017 competition and she was panelist at Jornadas de Investigación Mérida 2016.